Catch Timber Warehouse Services in Australia! Are you looking for timber & Building Material Outlet information online? 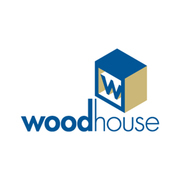 Woodhouse Edgeline gives designated timber moulding products and documents on the official website. Download the complete information and the literature of the timber products. Just fill up the form and we will be in touch soon!. Abbey Timber offers a whole range of timber flooring Sydney and the experts there can also help by advising you on the type of timber you need to create the timber decking that you had in your mind. At this company, you are dealing directly with a supplier who has gained a reputation of being the very best in the business. Hire our pest control services if you have found a bed bug in your home. Rest assured that your home is now bed bug free, with Leading Pest Control professional equipment and tools, cutting-edge technology. We provide our customers with 7-day service. Visit for more information - http://www.leadingpestcontrol. Hire the perfect roof repair services in Eastwood from awroofing.com.au. At AW Roofing, we offer professional roof repair and maintain services incorporated to provide the top specialist services at reasonable price. Visit Here:-http://awroofing.com.au/. We at ONE AAC provides various solution for internal wall systems, external rendered wall systems, boundary wall, exterior wall system, autoclaved aerated concrete panels, floor and ceiling systems and various fence systems. Our services are professional and are provided at much affordable prices. We also have concrete panels for sale. Get high quality structural hardwood posts and several other products from Abbey Timber. You should buy them if you have children who are asthmatic or allergic to dust. With them, you can increase the value of your home. They are the experts of timber floors in Sydney. Get more info about Structural Hardwood Posts for Your Home and Office contact us @ (02)97742944 or visit our website http://www. If you are looking for highly professional and experienced residential painters in Sydney, Priority One Coatings would be your only solution here. As we are the house painting specialist which offers quality, skilled painters and long-lasting finish. At Priority One Coatings, we pride ourselves on doing everything we can to ensure you are satisfied with the job of your house painting from start to finish in Sydney. Sonaa delivers a full suite of maintenance services for Sydney’s high rise buildings, helping companies across the construction, hotel and retail industries get the support they need. 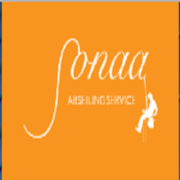 Address: 60 Garden St, Maroubra NSW 2035 Email: info@sonaa.com.au Web: http://sonaa.com.au/. Welcome to Asbestos Removal Guide, your number one information resource center on asbestos removal. We established this platform to help educate property owners about the dangers of asbestos, its removal and safety standards. Our site also provides detailed and up-to-date statistics about asbestos occurrence in major parts of Australia. 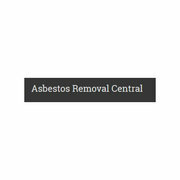 Asbestos Removal Central aims to educate people about the asbestos removal procedures and promotes the implementation of the National Strategic Plan on Asbestos Awareness and Management. It also promotes research on asbestos safety. Though asbestos has been banned in Australia since 2003, people are yet ignorant about its ill effects. At Electro Spark Electrical, we are dedicated to provide you with full satisfaction when it comes to all kinds of electrical services in Sydney and a number of other destinations across Australia. Our friendly and professional staff members never give a chance to complain. Visit: http://electrosparkelectrical. At Electro Spark Electrical, we are dedicated to provide you with full satisfaction when it comes to all kinds of electrical services in Sydney and a number of other destinations across Australia. Our friendly and professional staff members never give a chance to complain. Call us today! Visit : electrosparkelectrical. Asset Kitchens provides exceptional service and quality custom joinery including kitchens, laundry, alfresco, bathroom and study. Contact us now on 02 4751 3613 for custom kitchens and renovations in Sydney. Website: http://assetkitchens.com.au/ Phone: 02 4571 3613 Email: stacey@assetshopfitting. We at HiTek Roofing provides the first-class Roof Repair & Roofing services in Pymble at reasonable prices. We also give guidance on roofing service or installation comprising color choices, paint & heat reflective products & many more. Call us at 1300 783 429 or 0414 854 307 for any query! Visit Here:-http://www. Damas is skilled and experienced to provide the comprehensive garden maintaining services to our customers. 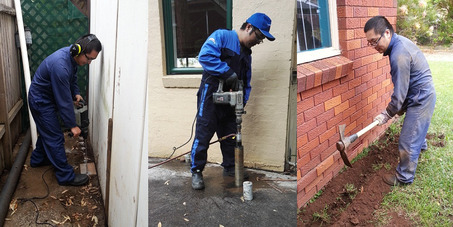 We are dedicated to provide the high quality gardening services in Parramatta. We use the latest garden maintaining techniques with our lawn specialist mowing services. Contact US:- Brand Name:- DAMAS Lawn Mowing and Gardening Services County:- Australia Business:-Number: 0424 900 140 Business Email:- damaslawnmowing@gmail. Raw Electrical is specialized in all electrical work, installation & repair services. At here we provide the reliable Electrical Services in Macquarie Park. Call us for further information. Visit Here:-http://www.rawelectricalsydney.com.au/. No more sweating for choosing your tiles and comparing material. You have reached the right place. 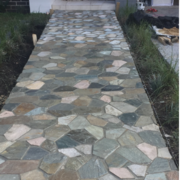 We are one of the most reputed and trusted stone tiling service providers in Sydney. Visit our website to request for a quote or book an appointment. http://merktiling.com.au. Security doors Melbourne has become very popular because nowadays there are many risks associated with living even in a well populated residential area. Burglars and robbers have used ever advancing technology to rob you of your valuable belongings. This is the reason that you have to remain one step ahead of them in order to prevent them from causing you financial harm. Get the best air conditioning repairs and services only in RealAirSolutions in Sutherland Shire, it is offering full pledged air conditioning services by their professional electricians. To hire their services, please visit http://www.realairsolutions.com.au/aircon-mechanic-sutherlandshire/. 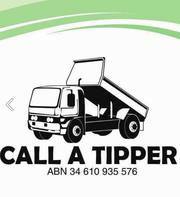 In Sydney, CatRubbishRemoval is the leading company offering the best rubbish removal services for their customers from years. To hire their services, please visit http://www.catrubbishremoval.com.au/rubbish-removal/. At HiTek Roofing, we are specialist in offering Roof Restoration & Repair Services in Manly at inexpensive prices. We also provide expert advice for the process of the roof restoration. Call us at 300 783 429 or 0414 854 307! Visit Here:-http://www.hitekroofing.com.au/. The Famous company called Real Air Solutions in Sutherland Shireis offering the best air conditioning repairs and services by using the latest tools and equipment and their services are available at affordable prices. 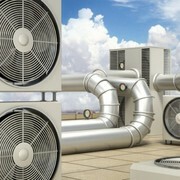 To get more details, please visit http://www.realairsolutions.com.au/aircon-mechanic-sutherlandshire/. Do you want steel for your needs then come to TooleStainlessSteelin Sydney they are offering the best quality steel to their customers. To get more details, please visit http://www.toolestainlesssteel.com.au/steel-sales-supply/. Raw Electrical is specialized in all electrical work, installation & repair services. At here we provide the affordable & quality Electrical Services in Killara. Call us for further information. Visit Here:-http://www.rawelectricalsydney.com.au/. At Spec Joinery we provide the quality Kitchen Designs & Renovations services in Five Dock, Bondi & Chatswood, North Sydney. Our dedicated & professional team provides valued services to customers. Contact Us:- Brand name : Spec Joinery Country : Australia Phone:- 0402 103 837 Business Mail id:- info@specjoinery. At High View Roofing, we offer the highly reliable residential metal roofing services in Sydney. No doubt that we always provide the best quality services and succeed in reform operations to keep costs at convenient level. Contact Us:- Company name:-High View Roofing Address:-16 Grove St City:-Eastwood County; -New South Wales Post code:-2122 Country:-Australia Phone:-0450 589 771 Visit Here:-http://hvroofing. Hire the perfect roof repair services in Lane Cove from awroofing.com.au. At AW Roofing, we offer commercial & residential roof repair & maintain services incorporated to provide the top specialist services at reasonable price. Visit Here:-http://awroofing.com.au/. Hire the one stop steel kitchen supply and manufacturing companyin Sydney called Toole Stainless Steel, it offers stainless steel benches and other steel related products for commercial and residentialneeds. To get their services, visit the link http://www.toolestainlesssteel.com.au/residential-kitchen-steel-fabrication-sdyney/. Looking for Roofing & Walling Supplies for your next building project? Paterson Roofing has you covered! Paterson Roofing Products is a local Canberra Based company supplying you - a busy tradesman - with high-quality, competitively priced roofing supplies. For more information, visit our website... http://patersonsupplies.com.au/. Is your air conditioner system ruining your investment with frequent repairs and planning to install a new one? Then visit Real Air Solutions, providing specialist air conditioning services to its clients for many years in the Sutherland Shire. To have the services, just click on to the link http://www. Home repair services, maintenance services Sydney ads Sydney, Home repair services, maintenance services classifieds Sydney, Home repair services, maintenance services free ads Sydney, ads for sale Sydney, ads to buy Sydney, FREEADSAustralia Page number 5-1. Find here ads for sale, to buy and rent in Sydney. Goods for sale in Sydney, vehicles for sale in Sydney, Sydney real estate for sale, Sydney property for sale, property for rent in Sydney, business ads in Sydney, Sydney business classifieds, services in Sydney, Sydney services ads, jobs in Sydney, pets for sale in Sydney, Sydney dating, Sydney cars for sale.